When in Phuket, who wouldn’t want to stay next to the beach? 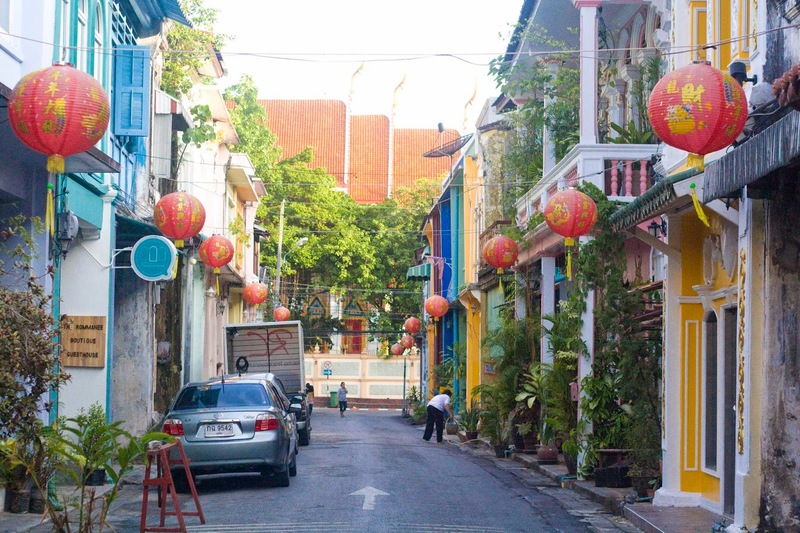 But if you are looking to get a taste of the Sino-colonial vintage setup, then you must look for camping options in Phuket Town. Approx. 34 kms from the Airport, Phuket Town retains much of its Thainess and the charms of a small provincial town. 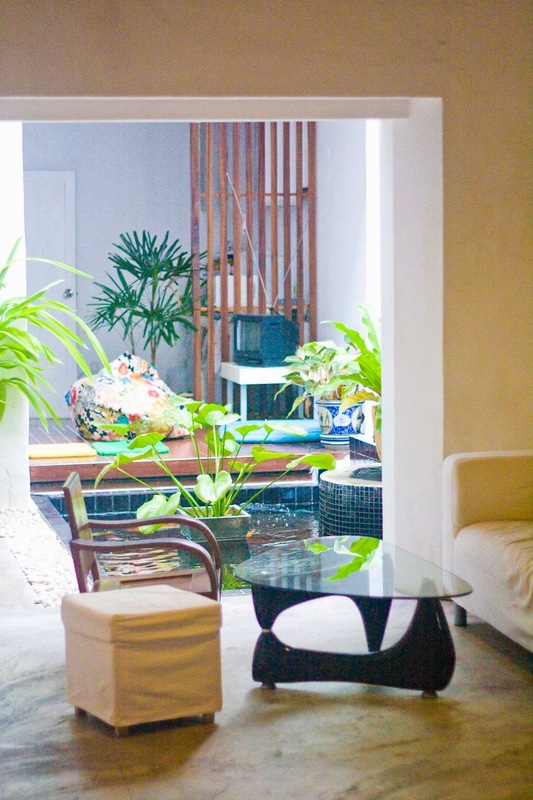 From the available options, we selected The Rommanee Boutique, a small guesthouse located on Talang Road. The interiors have been done very tastefully and the street actually has the typical colonial architecture with colourful buildings. The owner Ann is extremely warm and helpful. There is an interesting seating arrangement on the ground floor around a small water pond with Koi fishes. There are in total 4 rooms in the guesthouse, all of which are located on the first floor. The stairway is narrow and steep. Ann is extremely hospitable and ensures that even if she is not around, she has passes on the instructions to relevant staff members. There is a personal touch that you would get while staying at the guesthouse, just feels like home. There is free Wifi available in the guesthouse and all the rooms are non-smoking. The room size is sufficient for a couple and at the max another child upto 7-10 years as there is no space for additional bed. In order to ride to Kata beach, we approached a few motorbike rentals in Phuket Town but everyone was asking for submitting the original passport along with advance payment. While some people were happy to do so, after reading reviews about possible scams on the web, we refrained from doing so. But Ann was extremely helpful in arranging a motorbike for us within 30 mins without having to deposit the passport. Also Shell Fuel station is less than 400 mtrs around the guesthouse. There are few eating joints in the vicinity of a km and more. But if you really want a better variety of options, then one should head to the beach. There are also banks available where you can get better exchange rates for your currency. 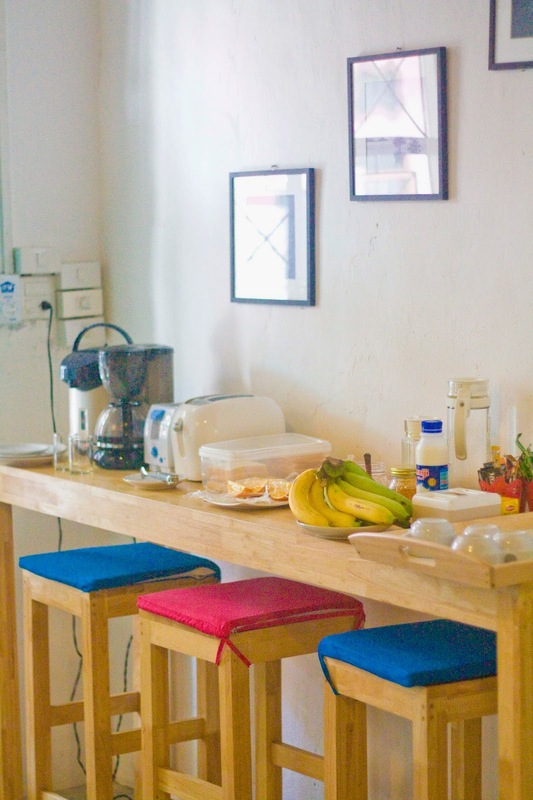 The brief breakfast is available at the reception on the ground floor in the morning and has coffee, bread toast and fruits available. There is Route 68 café just at the end of the road and has karaoke nights on certain days. In the market nearby, there are travel agents which also help you book tours, transfers to Ao Nang and even tickets for Phuket Fantasia. After trying our hands on a few, we found Woody at Mark Travel & Services extremely reliable. His shop is hardly 10 mins from the hotel on Takua-Pa Road near the intersection point with Ratsada road. You can mail him at woody_marktravel@hotmail.com or call him at 08-1693-6207. If you are looking for Forex exchange near the area, while there are couple of merchants and banks available near the guesthouse, we found Kurg Thai Bank offering the best rate by a considerable margin. The process was very swift and one did not have to spend too much time. Ann can also help you in arranging an Airport pick up and it is always advisable to take their service. Most of the shuttle services from Airport don’t ply towards Phuket town and the independent taxi’s will try to squeeze the max out of you knowing the situation. If you are traveling to Ao Nang via Ferry from Phuket, the departing pier is also very close to the guesthouse – approx. 4 kms and takes 15 mins. The ferry services also have an option of charging little extra and providing you pick up service.